The following is the speech by Dr Peter Saunders, representing the Care Not Killing Alliance, to the New Zealand Health Select Committee on Assisted Suicide. I have just given oral evidence on behalf of Care Not Killing to the New Zealand Parliament’s Health Select Committee on assisted suicide. The factors that contribute to the desire to end one’s life. The effectiveness of services and support available to those who desire to end their own lives. The attitudes of New Zealanders towards the ending of one's life and the current legal situation. International experiences. The committee will seek to hear from all interested groups and individuals. Thank you for this opportunity to give evidence to the select committee. I represent Care Not Killing which is a UK alliance of about 40 organisations spanning healthcare, law, disability rights, education and faith groups which in turn represent several hundred thousand people. We were established in 2005 and seek to promote better palliative care and ensure that existing laws against euthanasia and assisted suicide are not weakened or repealed. I’m a New Zealand citizen but have lived in the UK for 28 years. I trained in medicine in Auckland and specialised in general surgery and my day job here is as the chief executive of one of CNK’s 40 member groups, the Christian Medical Fellowship, which itself has over 5,000 medically qualified members. I’ve been campaigning against the legalisation of assisted suicide and euthanasia for 12 years during which time we’ve had 10 attempts to change the law through British Parliaments all of which have failed. I’ve also got skin in the game. My grandfather died from an aggressive cancer with spinal secondaries with pain that was very difficult to control and my father died from a very rapidly progressive dementia, both in Auckland. I’ve just been back to NZ with my wife over Christmas to place her elderly parents, both retired doctors aged 91 and 89, with dementia and Parkinson’s respectively, into an excellent private hospital in Auckland. So my interest is professional and political but also personal. The most recent attempt to change the law in Britain was in September 2015, when the Marris Bill, which attempted to legalise assisted suicide for the terminally ill, was defeated in the House of Commons by a 3 to 1 margin - 330 votes to 118. MPs dealt the bill a resounding defeat largely driven by concerns about the risks it posed to vulnerable people who would have felt under pressure to end their lives. A majority of both Conservative and Labour MPs voted against the bill. This is hugely significant as it signals that assisted suicide is not a simple left/right political issue here. In fact suicide prevention and protection of vulnerable people from exploitation and abuse resonate strongly with left of centre politicians because of their concern for disabled people’s groups and for those less able to access good healthcare. Our case against the legalisation of assisted suicide and euthanasia is that it is dangerous, uncontrollable and unnecessary. It’s dangerous because any law allowing it will inevitably place pressure on vulnerable people to end their lives in fear of being a burden upon relatives, carers or a state that is short of resources. Especially vulnerable are those who are elderly, disabled, sick or mentally ill. The right to die can so easily become the duty to die. It’s uncontrollable because any law allowing it will be subject to incremental extension. We’ve seen in jurisdictions like Belgium and the Netherlands that over time you see a shift from terminal conditions to chronic conditions, from physical illnesses to mental illnesses and from adults to children. The essential problem is that the two major arguments for euthanasia - that is, autonomy and compassion - can be applied to a very wide range of people. This means that any law which attempts to limit it, for arguments sake to mentally competent people who are terminally ill, will in time be open to challenge under equality legislation. It is unnecessary because requests for euthanasia or assisted suicide are extremely rare when people’s physical, social, psychological and spiritual needs are adequately met. In other words, you should kill the pain not the patient. Britain was recently ranked number one in palliative care in the Economist magazine. But we still have some way to go in making this high-quality palliative care fully accessible to all. So, in summary the best law is one like New Zealand and Britain’s current law, that gives blanket prohibition on all assisted suicide and euthanasia. This will deter exploitation and abuse through the penalties that it holds in reserve, but at the same time give some discretion to prosecutors and judges to temper justice with mercy in hard cases. The current law has both a stern face and a kind heart and does not need changing. We have an aphorism in surgery, if it ain’t broke, don’t fix it. Leaving the law as it is will mean that some people who desperately wish help to end their lives will not have access to such a service. But part of living in a free democratic society is that we recognise that personal autonomy is not absolute. That’s precisely why we have laws. We must not allow so-called freedoms which will at the same time undermine or endanger the reasonable freedoms of others. And one of the primary roles of government is to protect the most vulnerable even sometimes at the expense of not giving liberties to the desperate. I wanted, finally, to make some brief comments about the four questions raised by the consultation. borderline personality disorder and alcohol and drug misuse. We know that in Oregon, in 2013 despite 26% of assisted suicide cases meeting the clinical criteria for depression, less than 3% of them had a psychiatric assessment. But even more striking was the fact that most people making use of Oregon’s death with dignity act in 2016 - the figures came out just three weeks ago - cited existential or spiritual symptoms as their reason. 89.5% cited loss of autonomy, an identical percentage cited being less able to engage in activities making life enjoyable and 65% loss of dignity. Pain, or even concern about it, did not feature in the top five. More worryingly 48.9% cited being a burden on family, friends or caregivers. The equivalent figure in neighbouring Washington state the year before was 52%. I would submit that it is an abuse of medicine to treat fear of the future or loss of meaning and hope with lethal injections or draughts of barbiturates. The best response to existential suffering is to do all we can to restore hope and allay fear by caring for the needs of the whole person. Second, in terms of the effectiveness of services and support available to those who might wish to end their own lives, people contemplating death from a progressive terminal illness will understandably experience fear and anxiety and may in rare cases consider suicide. These fears can be heightened by high-profile media cases, especially those involving celebrities – we call it suicide contagion or the Werther effect. But we know that only a very tiny minority have persistent ongoing death requests once they have experienced what proper support and good palliative care can offer. 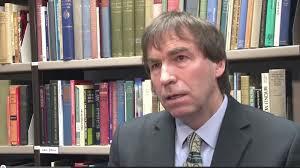 Rob George, former president of the Association for palliative medicine in Britain said that after a lifetime of managing over 20,000 dying patients, he could count on the fingers of one hand those who still wanted assisted suicide or euthanasia after receiving good palliative care. This is why every Royal Medical College in Britain along with the British Medical Association is opposed to any change in the law. And those who are closest to the dying patient, namely geriatricians and those in palliative medicine, are most opposed for two main reasons. They know how to treat the symptoms of dying people effectively, and they understand the vulnerability of dying patients better than anyone else. 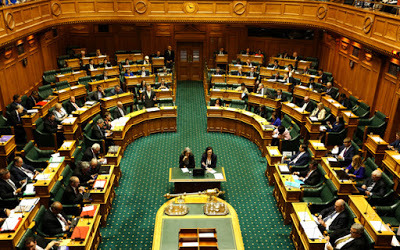 Third, with respect to the attitude of New Zealanders to change the law, in most Western countries approximately three out of four will be in favour of legalisation in opinion polls depending on how the question is framed. However, these opinions tend to be reflex rather than considered and largely uninformed about the complexities involved. Our experience in Britain has been that when legislators have been able to consider the arguments carefully they have invariably opted not to legalise. Finally, with respect to international experiences of legalisation the frightening consequences in Belgium and the Netherlands are well-publicised and well known and played a major role in convincing British legislators. Every year, with each new report from Belgium or Holland, our job gets easier. The recent story of a female Dutch doctor drugging the coffee of a patient with dementia and then asking her family to hold her down as she fought while being given a lethal injection, is a poignant case in point. But I want to draw your attention to what’s happening in a jurisdiction with far more modest legislation. And to this end we will send you a copy of our brochure “don’t make Oregon’s mistake” as supplementary evidence. In Oregon there’s been a steady increase in annual numbers of people undergoing assisted suicide -more than 500% over 19 years. Some doctors know the patient for less than a week before prescribing the lethal drugs. We would urge the New Zealand Parliament if it comes to consider legislation on this issue, not to proceed with it but rather to focus on suicide prevention and on providing better care and support.